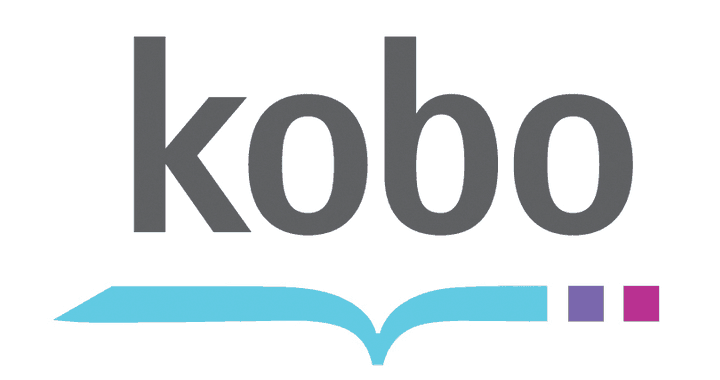 Kobo has shipped another update of the firmware for their devices, new version is 3.3.0. I have used this to look at some other new (or new for me) features additions that I can add to my Kobo Glo. In short, this is what I did: Update to firmware 3.3.0, installed a cleaned up kobohack-j, added multitouch gesture ability, patched the libnickel library, and added a full-screen reading option to the device. Before going into details, be reminded that the following is often a very terse description of the installation process. There are many articles here providing more detailed guides, see the tag Kobo for all of them. Finishing a book, opening the shelf list now happens without the need for an extra tap. Percent read for kepubs is being displayed correctly on the Touch. Not getting any extra taps causing bookmarks or going to the wrong page. Light now coming on when level set to 1%! Using name to sort the collections list if the option is missing from the config file. When writing a new annotation, the shift key is set for the first letter. Flashing when going to sleep or powering off has changed. Now shows a black screen before showing the sleep or power off screen. I already had this section with a different option there, in this case just add the FullScreenReading=true line. After this a new menu entry in the Reading page of the Settings is available, called Page layout, where one can show/hide the header/footer. Since I am using the libnickel hack (see below) to shrink the footer I don’t use it, but if you don’t want to hack your device that hard, the above change is very simple and safe. Mind that after adding this feature setting, the Reading page looks a bit messed up/cramed, but no functionality is lost. As usual (see previous posts), I try to get ssh running on my Kobo, in addition to some library updates. For this I use the kobohack-j project. The latest release is still made for firmware up to 3.2.0, so one has to take a bit care. In particular, the sqlite stuff has changed in 3.3.0 with the introduction of a new libQt framework. That means, before installing the KoboRoot.tgz from the kobohack-j version 140315, I removed all files libsqlite* and repacked the KoboRoot.tgz. The files appear in two locations: /lib/llibsqlite3* and /usr/local/Trolltech/QtEmbedded-4.6.2-arm/plugins/sqldrivers/libqsqlite.so. At the same time I merged the two KoboRoot files into one, so that only one installation is necessary. The usual libnickel patch was updated in extremely short time, although not all patches are fixed by now. The first post with new settings is here, but it is advisable to check the thread after this post for updated versions. I consider this patch a dangerous, since as of now there is no way to uninstall it. There is an uninstall patch available, but it is not functional on 3.2.0 or above. And to my surprise, even updating the whole firmware to 3.3.0 did not undo this patch. The reason is that the patch installs a new kernel, while the upgrade from 3.2.0 to 3.3.0 seems not to do a kernel upgrade. I also have to say that the pinch gesture to change font size is too sensitive, I cannot manage to get proper font settings. But the light level adjustment is actually very convenient. Although Kobo is shipping out new models, Auro, AuroHD, what else is coming, I am still very happy with by GLO. It does all I need. The only thing I wished is a better and faster experience while reading mangas. Zooming and panning is terribly slow, but otherwise I often cannot read the small kanji in the manga. That said, for nowmal reading (not manga) it is a please to use and I will not upgrade for some time. I noticed that this tip carries a Bug in Kobo. Active when to take the headers, the text Justified, is eaten around the edges, subject to deformation of the text, text exceeds the limit of the screen. Enabling header and putting the text in a centralized manner, and then enabling the justification margins back to 100%. indeed, with some books I see the same behaviour. Very strange. I will probably remove the footer/header patch and use the built-in mode to not display header/footer. Although, I really would like to see this fixed, as having a small footer is useful. Hi Norbert, thanks for sharing this. I have a Kobo touch and just update. I wanted to ask you, since you’ve hacked your device – do you know how I can export highlights from the books I’ve read? I’m using Calibre on Mac, but have not been successful and would really appreciate your help! what I am doing is using the plugin “Kobo Utilities” that can show in a windows all annotations of the selected books. It is not perfect, but works well. It also has an options backup annotations, but that somehow does not work. Finally, there is the low-level approach, that is get the sqlite database from the device, and get the annotations out of the sql database. Haven’t done that, though. Thanks for the info on the Kobo Glo firmware, glad to know that you love the Kobo Glo, I love it too, best thing I ever bought. I have a quick question: do you encounter that it does take a long time to update content when you insert a microSD with lots of books in it? yeah, great piece, although with big fat ebooks with lots of graphics the computing power is on the limit. I am just now writing a post on TAOCP (Knuth’s computer programming bible), and that one as ebook is heavy on the GLO. Concerning your question: I never did this, but I *know* that it takes a long time. The reason is the indexer that is started when new content is added. If it works out at the end, after the indexing is finished, there should be no difference. If it breaks (GLO unresponsive after long time), then you have to add books in smaller batches. There are a few threads on MobileRead about this problem (lots of books added at the same time). At the end it is a very weak computer that is asked to work through lots of books and index them and extract information. That takes time. merci bien pour la link! I personally don’t have need for different fonts, as the built-in Japanese font is great, but I like the idea to have a special font for Lord of the Rings, will try it out! Indeed! It is there even in 3.11.